Since we have really, really nice weather around here (in The Netherlands), it feels like spring is already here. 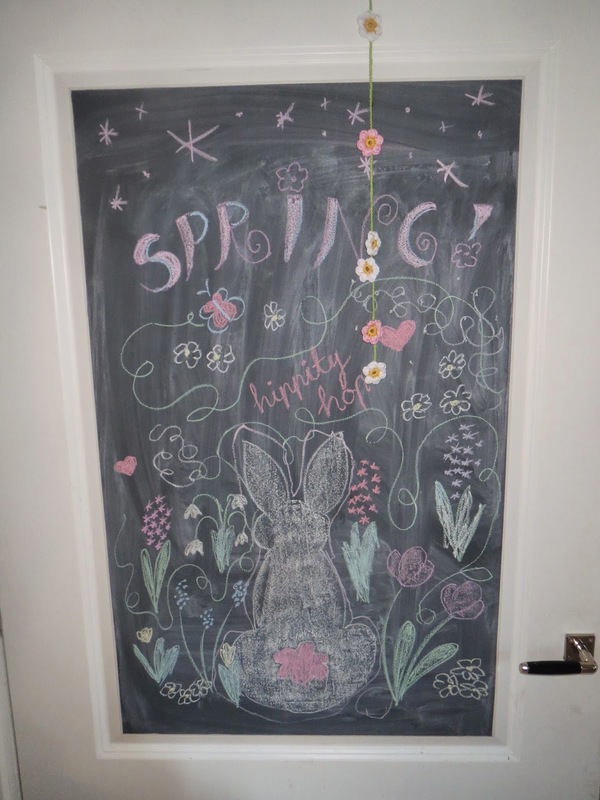 We have a blackboard on our kitchen door and every now and then I feel like drawing something nice on it for my daughters and of course it had to be something spring-y this time. 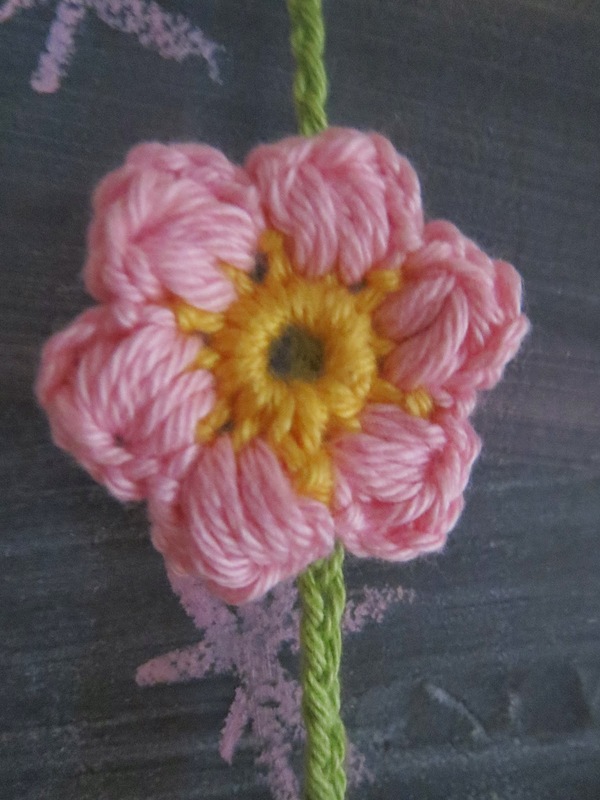 To make it even more look like spring in our kitchen, I also crocheted a string of daisies. You can find the pattern for these puffy daisies (and a lot of other nice patterns) at Mamachee. 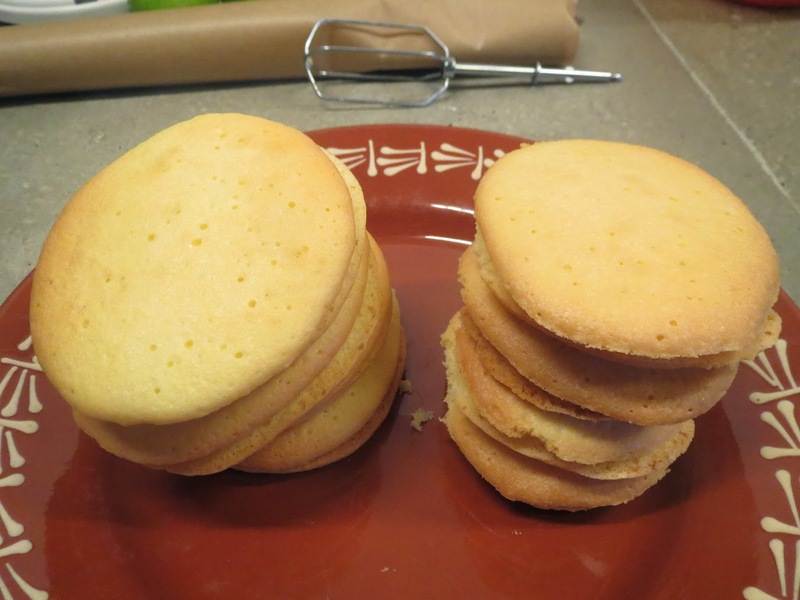 Last week my Cherry Blossom and this week my Key Lime Whoopie Cakes were featured by Busy Fingers, Busy Life! Wat een geweldig idee om je dames te verwelkomen met een mooie tekening! Dank je, Irena! Ik vind het ook leuk om zelf verwelkomd the worden met een vrolijke tekening. 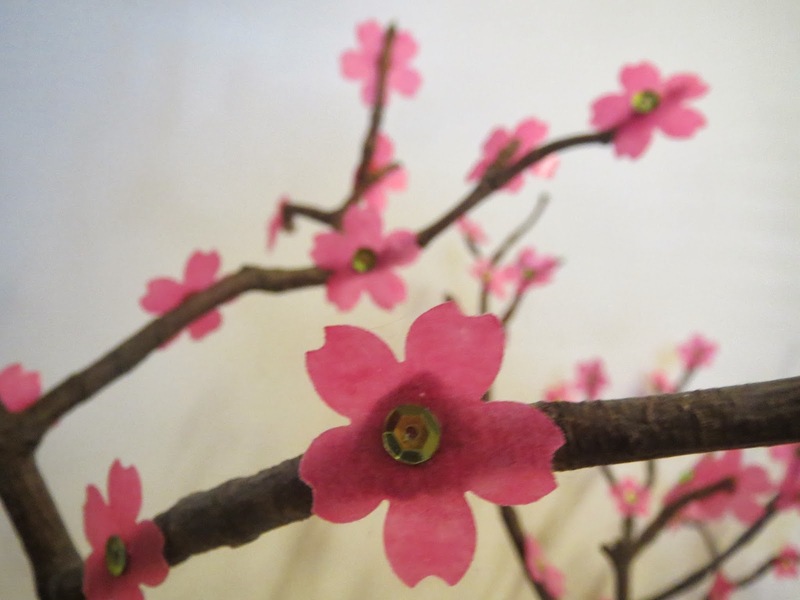 Wat een mooie bloemetjes! En je schoolbord plus tekening vind ik super! Dank je, Elisabeth! Ik vind dat er op jouw blog ook heel leuke dingen staan!! the daisies are so cute. thanks for the link to the pattern. Sheesh, you've got great skills! Such lovely daisies! Thanks so much for linking up to our Link It or Lump It party! Thanks for your nice compliment! 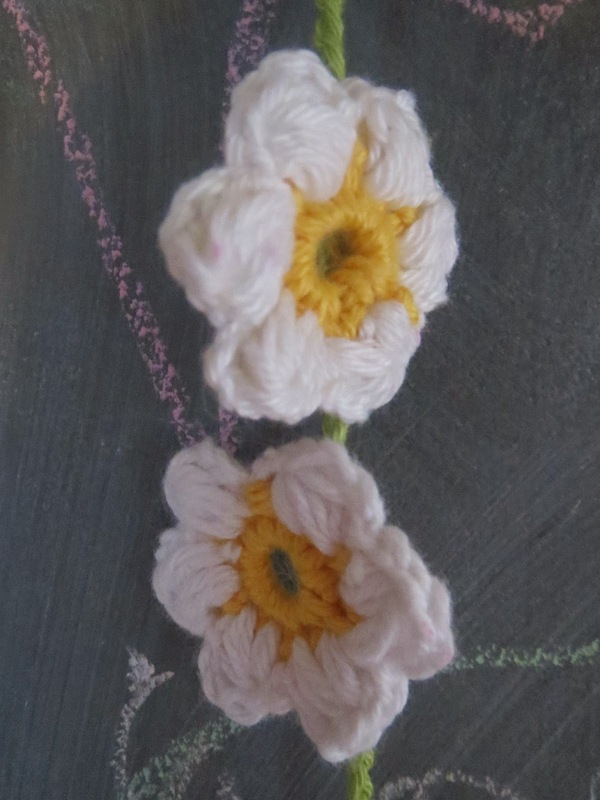 Your daisy chain is so cute, it reminds me of the ones I used to make with wild flowers as a child. THANK YOU for sharing with us on the Friday Frenzy link up, and we hope you'll join us again this week! Thank you, April! See you next week at the party! Almost practically, because I live near the coast, so that's another one and a half hour ride, haha! Thank you for you compliment and for visiting! Love your link party! 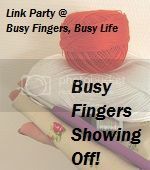 Hi Liz, I found your link on Mary's Link-a-Along on her Go Crochet Crazy blog. The children must love it when mummy does a new picture on the chalkboard for them and those spring daisies are so pretty. My link is my finished Crocheted Granny Square Waistcoat and you can view it on my blog. Thanks! My kids always want to draw something on the chalkboard, too, when I make something new, so I'm thinking about more chalkboards in our house. Your daisy chain is just darling!